His Eminence Cardinal Baselios Cleemis, the Major Archbishop of the Syro-Malankara Catholic Church, has been re-elected as the President of the Catholic Bishops’ Conference of India (CBCI) at the recently concluded General Assembly of the CBCI at Bangalore. Most Rev. Andrews Thazhath, Archbishop of Trichur and Most Rev. Filipe Neri Ferrão, Archbishop of Goa, were also re-elected as CBCI Vice-President I and Vice-President II, respectively. Most Rev. Theodore Mascarenhas, Auxiliary of the Archdiocese of Ranchi, was elected as the Secretary General. He replaces Most Rev. 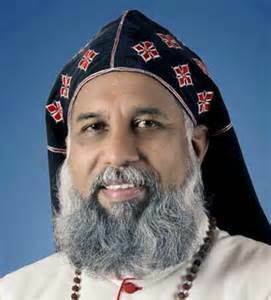 Albert D’ Souza, Archbishop of Agra, who has served as the CBCI Secretary General for the past six years. While congratulating the new office bearers, Cardijn Community India wishes to thank the outgoing Secretary General Most Rev. Albert D' Souza who was very supportive of CCI and other Cardijn movements. We do hope that under the dynamic stewardship of His Excellency Cardinal Cleemis as the President of CBCI, the Church in India will soon become a Church of the poor. Cardinal Cleemis was to have inaugurated the CCI Conference at Joe Beach in December 2015 which was postponed to May 2016 due to the floods and deluge.